UK professionals working in Aberdeen, Glasgow and Hull are officially the richest workers in Britain, according to research conducted by leading independent job board, CV-Library. The data reveals that those living and working in London were the poorest, despite earning the highest average salary in the UK. In fact, the average annual salary in London is £38,550, 14.9% greater than the national average of £33,490 per year. However, premium costs in the capital drastically outweigh the slightly higher-than-average salaries, meaning Londoners have the least disposable income in the country. 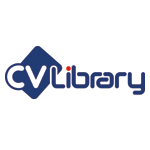 *Average monthly salary taken from CV-Library data between 1st July and 30th September 2018. Basic monthly costs include rent (small, one-bed flat, located close to the city centre), relevant council tax, a local monthly travel card, basic utility bills and groceries. Lee Biggins, founder and managing director of CV-Library, comments: “For those living anywhere but London or the South East, reasonable living costs make the ability to enjoy your wages and save for the future a reality. While average pay in the capital outperforms the rest of the UK, our data suggests that Londoners are actually much worse off financially than those in Scotland and the North.